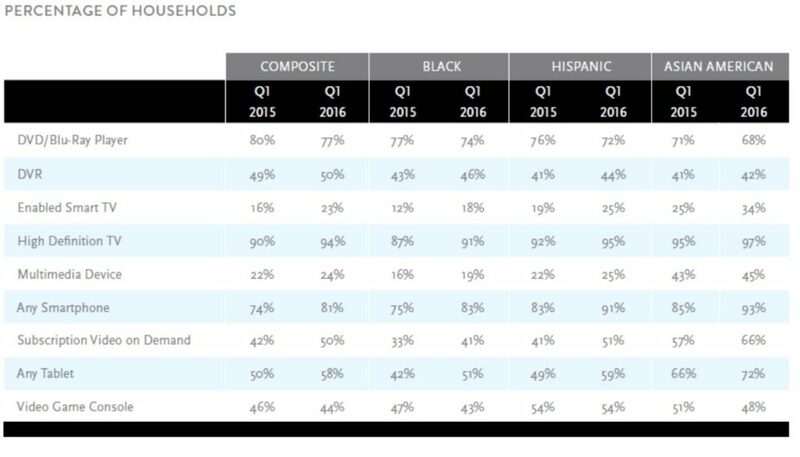 Among SVOD subscribers, three-quarters report that Netflix was their first SVOD subscription. Currently 61% of viewers subscribe to Netflix, 36% to Amazon Prime, and 22% to Hulu. Top explanations for adding Amazon to Netflix: for greater selection (33%), for Amazon originals (33%), and for access to movies not on Netflix (31%). 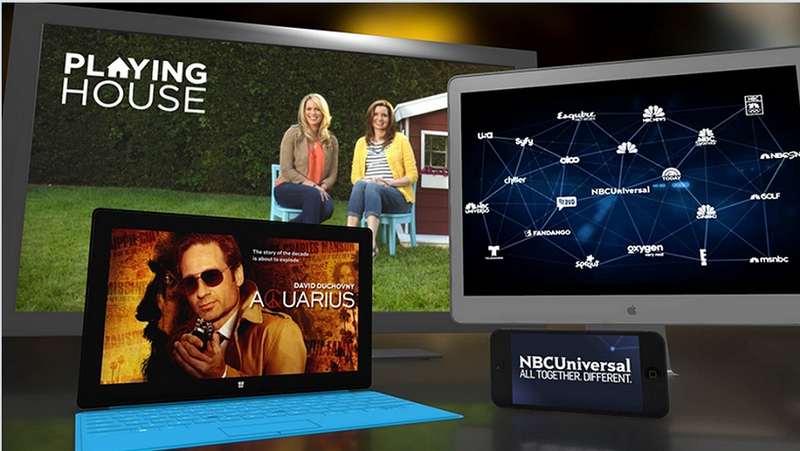 Access to exclusive content is recognized as the key driver of SVOD subscriptions. Hub Entertainment Research identifies key consumer benefits for each platform. Live TV: Breaking News (71%), Local TV (71%) and Local Sport Events (69%). 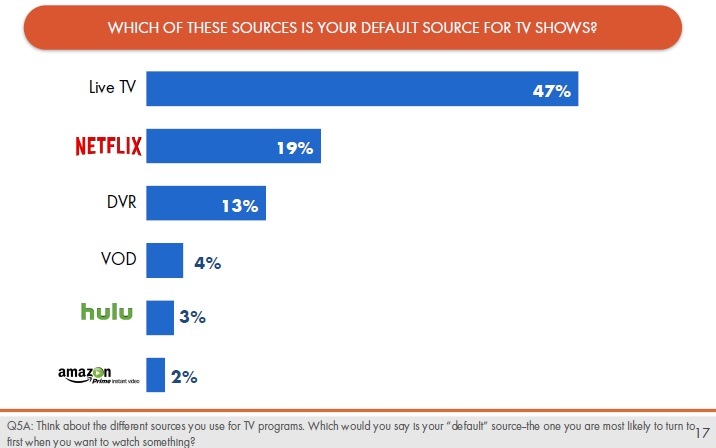 Netflix appears to be the stickiest among those who default to Netflix. Just under two-thirds (63%) report they would drop other TV services before dropping Netflix. To address the SVOD adoption trend, broadcast and cable networks increasingly offer multiple episodes or complete seasons via video on demand (VOD) to encourage binge watching of new series. However, these efforts have found limited success. SVOD offers both a social and an individual experience. This is important to attract younger audiences. The growth of OTT services is changing the television industry. It will be interesting to see how the market evolves. Key questions include what new strategies will emerge and how will viewership be monetized beyond subscription revenues Will it be advertising, advertising free, or advertising light? Subscription VOD (SVOD) penetration now equals DVR penetration in the United States. 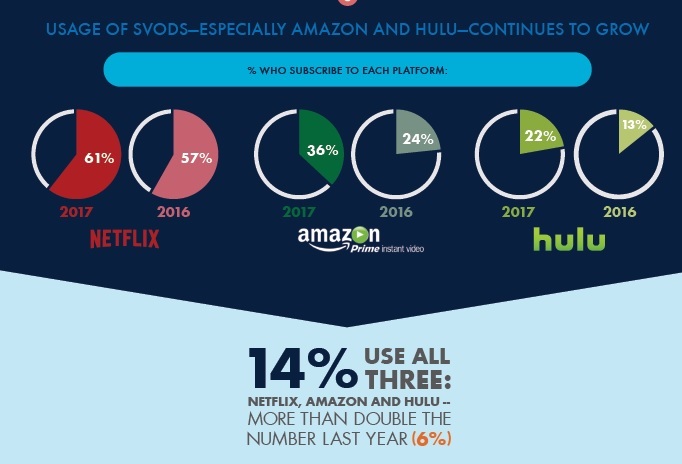 In fact, half of all viewers now have a subscription based service such as Netflix, Hulu Plus and Amazon Prime, according to Nielsen’s 1Q16 Total Audience Report. Interestingly, close to 30% of households have both an SVOD service and a DVR. Nielsen also noted that DVR penetration has flattened while SVOD is on a strong growth path. So while consumers are still obtaining most of their content on television, live TV consumption is declining as smartphone and tablet viewing is increasing. The older the consumer, the more time spent watching television. Among adults 18-34, 39% of media consumption occurs on digital (e.g. 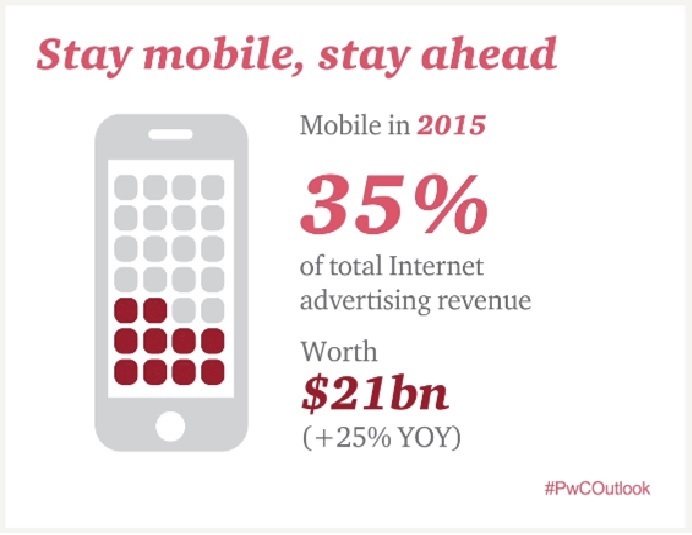 smartphones, tablets and desktops), 15% on connected TVs (e.g. Apple TV, Roku, Google Chrome) versus 29% on live-TV and 17% on radio. In contrast, Adults 50+ spend 53% of their time on live-TV, 21% on digital, 17% on radio and 8% on connected-TVs. It’s no wonder traditional TV networks are clamoring to remain relevant and shifting to digital options such as HBO to go, CBS’ All Access and MTV’s Snapchat Channel. 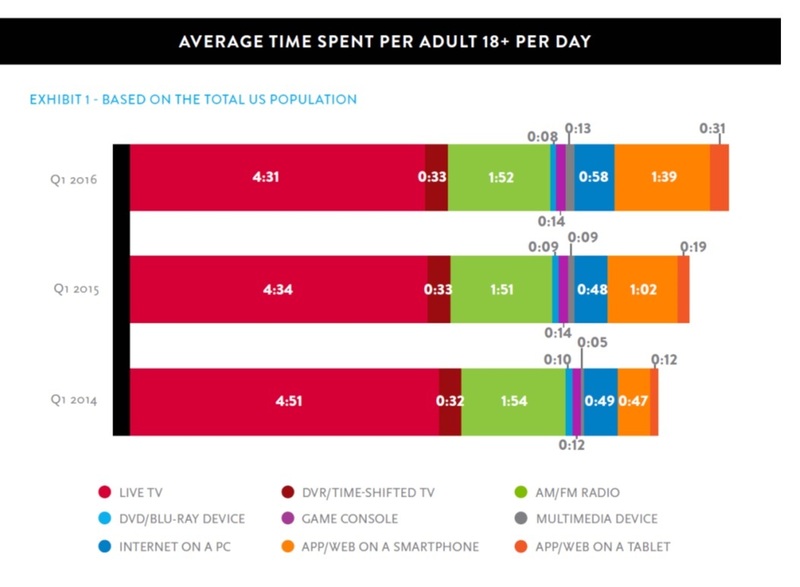 Nielsen also found that the heaviest users drove a disproportionate amount of overall time spent consuming media. Just over half of the total minutes viewed (52%) on TV came from the top quintile of TV users. In addition, 83% of smartphone video viewing, 87% of home PC streaming and 71% of connected device usage came from the top 20% of users. Consumer behavior is responding to the growth of technologies and services and therefore reducing consumer usage on older devices. Shifts and usage of new technologies are anticipated. More media choices lead to more competition. Content providers must think about multi-platform strategies and distribution in an exceedingly connected media environment.